The world of non conforming loan underwriting versus conventional loan underwriting is unquestionably complex. To understand more about this portion of the economy in general and non conforming loan underwriting in particular, one must first understand the definition of a conforming loan. A conforming mortgage loan is any loan that meets criteria and limitations set by the nation's two largest purchasers of mortgage loans, Freddie Mac and Fannie Mae. While Freddie Mac and Fannie Mae are not direct mortgage lenders, these organizations purchase mortgage loans from banks and then bundle these loans with others. Freddie Mac and Fannie Mae sell these mortgage loans to a series of investors. These investors earn income from the interest homeowners pay, then use the money from loan sales to make more money available to future mortgage borrowers. A non conforming loan is any home mortgage that does not meet Fannie Mae or Freddie Mac criteria and therefore must be funded by lenders who do not plan on bundling and selling the loan to Fannie Mae or Freddie Mac. The loan can come under different guidelines for a number of reasons as described below and is typically subject to different loan terms and higher interest rates or points. Loan amount: If you are applying for a particularly large or "jumbo" mortgage loan, you will not fall under conforming loan guidelines. These loans are $417,00 or more. Because they cannot be underwritten by Freddie Mac or Fannie Mae, they typically carry with them higher interest rates. Loan or home characteristics: If you are purchasing a vacation home or an investment property, you may not be eligible for conforming loans. Typically, these home loans are offered at least one point higher in interest. Credit issues: If you do not meet particular credit criteria because of an imperfect credit history, you may not be eligible for a conforming loan. Freddie Mac and Fannie Mae typically offer loans of some sort for those with credit scores of about 650 or higher, but the best rates are only available to those with scores of 720 or higher. 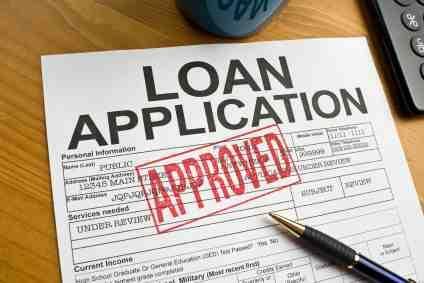 Otherwise, low credit scores mean that you will need a non-conforming loan and may pay a higher interest rate. The logic here is fairly simple; those with higher credit scores are likely to present less risk to the lender and less risk makes a lower interest rate. Low or no-documentation: If you are self-employed and are unable to provide adequate proof of income, you may need to apply for non-conforming loans that carry with them a higher interest rate. No or low down payment - home buyers must meet certain down payment criteria to be eligible for conforming loans. If you do not have enough money for a down payment, you may be eligible for a home mortgage loan but it is most likely to be a non-conforming loan. Low down payment options typically cost home buyers a higher rate of interest. Underwriting is the process a lender employs when determining the eligibility of a consumer to purchase a product, in this case, a mortgage loan. During the underwriting process, a bank essentially looks at how much of a credit risk you are. With non conforming loans, the loan is already considered to be higher risk since it doesn't fall under the Fannie Mae and Freddie Mac guidelines. Thus, you must go through a more stringent qualification process for non conforming loans and you will also generally be charged a higher interest rate. During the underwriting process, a qualified underwriter will look at all the information available and assess the overall risk. This assessment will be used to determine whether to make the loan at all and, if so, at what interest rate.